« Measuring Consumer Financial Distress, are We Really Better Off Today? The rate of home ownership increased significantly in the U.S. and in New Hampshire from the middle of the 1990’s until the housing market crash in the late 2000s. The increased availability of financing (sometimes exotic) played a significant role, as it did in the ultimate unwinding of the housing boom (nearly taking the nation’s financial system down along the way). 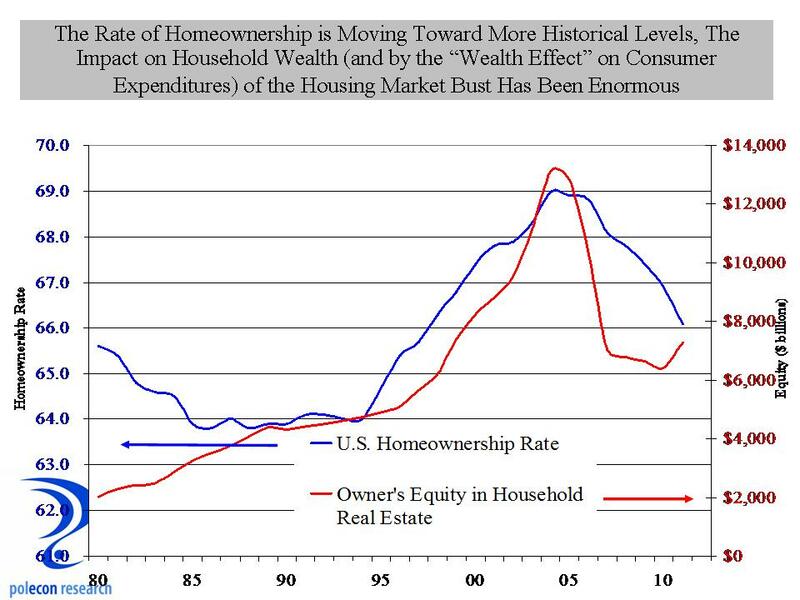 Home ownership rates are returning to levels closer to historical standards in the U.S., but not before a lot of household wealth in the form of homeowners equity was lost. That has had a large impact on our recovery from recession. One rule of thumb is that for every one dollar of household net worth lost, consumption expenditures by households will decline by 3-5 cents (the so called “wealth-effect”. Using the lower figure (3 cents), implies that across the country, consumer expenditures were about $180 billion lower between 2007 and 2011 as a result of the housing market crash, than they would have otherwise have been. 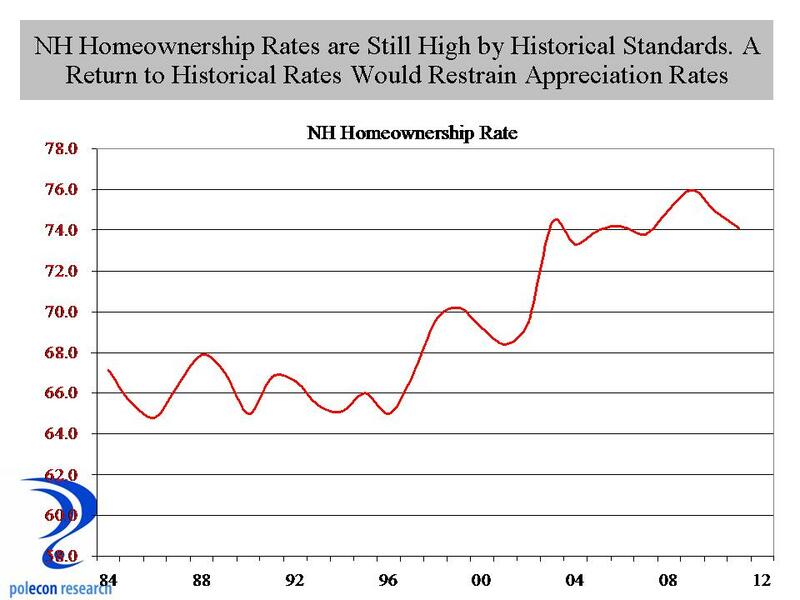 In NH, home ownership rates are higher than for the U.S. and they have yet to significantly move back toward their historical levels in the state. They may never, but I have to think that until they do, putting a true value on houses in the state is going to be difficult. In the meantime, home price depreciation has had the same negative effect on household net worth in the Granite State and thus a substantial negative impact on consumer expenditures via the “wealth-effect”. This entry was posted on November 16, 2012 at 12:47 pm and is filed under Homeownership, Household Finances, Housing, Real Estate. You can subscribe via RSS 2.0 feed to this post's comments.